We have a wonderful weekend of vibrant life at Christ Church this weekend. But first, let me point out the Medina St. Property Update below. Once you’re done reading here, be sure to scroll down and follow the link for the latest. This weekend we become a church on our knees as we enter our 24hr Prayer Vigil, coming before our Father with gratitude, confession, and cries for the coming of His good and beautiful kingdom, on earth as it is in heaven. It starts Friday evening and concludes Saturday with a time of corporate worship and prayer. Want to join us? Here’s all the information you need. 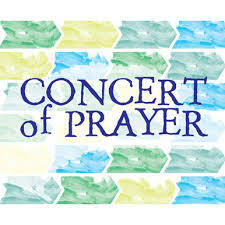 And whether or not you jump in for a segment of the Vigil, you’ll want to join us for the concluding Concert of Prayer at 112 Medina St. Saturday at 5pm. Finally, I am excited about this Sunday’s sermon. One of the biggest myths about religion today is that faith and science are incompatible. Dr. Steve Dilley, Professor of Philosophy at St. Edward’s University, will be speaking on the relationship between faith and science, particularly the way in which creation points to a Creator. We will also be hearing a report from our two Guatemala mission teams that served among “the least of these” on the rim of the city dump earlier this summer. Bring a friend!